Note: You can control the number of records returned by passing the $itemsPerPage and $startIndex parameters. See SData Pagination for more information. The chart of accounts is a list of all of the accounts used by your business. It defines the structure of your income, expenditure, assets, liabilities and capital when running your management reports. This resource allows you to look up your Chart of Accounts in Sage One. Responds with all available Chart of Accounts templates. This is the chart of accounts templates that a user can choose from when they set up a business in Sage One. Responds with the Chart of Accounts structure for the current business. This refers to the type of contact, either customer or supplier. This resource allows you to look up your Contact Types in Sage One. The Contact name and the Contact's company name. Use this to get either customers(1) or suppliers(2). For example, use /accounts/v1/contacts?contact_type=1 to get only customers. The VAT number the contact, maximum 14 characters. This resource allows you to read, add, update and delete Expenditure transactions from Sage One. The ID of the Expenditure transaction. The date of the Expenditure. The date of the invoice associated with the Expenditure. The net amount of the expenditure. The tax amount of the expenditure. The gross amount of the expenditure. The tax rate percentage for the expenditure. The ID of the tax period for the Expenditure. The reference of the expenditure. The supplier associated with the expenditure. The bank account funding the expenditure. The ID of the Expense Method. The void status of the expenditure. Responds with the Expenditure for the ID requested. Creates a new Expenditure transaction. The date of the Expenditure in the format dd/mm/yyyy. The date of the invoice associated with the Expenditure if applicable. In the format dd/mm/yyyy. Updates an existing Expenditure transaction. Deletes an existing Expenditure transaction. These are called payment methods in Sage One and are used to define the method of payment for a particular purchase. For example, a credit card payment. This resource allows you to look up the purchase payment methods in Sage One. The name of the Expense Method. The code for the Expense Method. Responds with all Expense Methods. Responds with the Expense Method for the ID requested. Responds with the Expense Type for the ID requested. The last updated date time. The year end lockdown date. The tax rate for flat rate tax schemes. These are called payment methods in Sage One and are used to define the method of payment for a particular sale. For example, a bank receipt. This resource allows you to look up the sales payment methods in Sage One. The name of the Income Method. The code for the Income Method. Responds with all Income Methods. Responds with the Income Method for the ID requested. Responds with the Income Type for the ID requested. This refers to 'Journal' transactions in Sage One. This resource allows you create journals in Sage One. The reference for the journal. The description of the journal. The date of the journal in the format yyyy-mm-dd. The journal line nominal code. The ledger account nominal code. Responds with the Ledger Account balances. The response also includes debit and credit balances for the requested date range. The response does not include ledger accounts with a zero balance. Responds with the Ledger Account balance for the ID requested. The response also includes debit and credit balances for the requested date range. Creates a new Ledger Account. The display name of the ledger account. Whether or not this account is included in the chart of accounts. The id of the chart of accounts category that the ledger account belongs to. This refers to the payment status of an invoice. 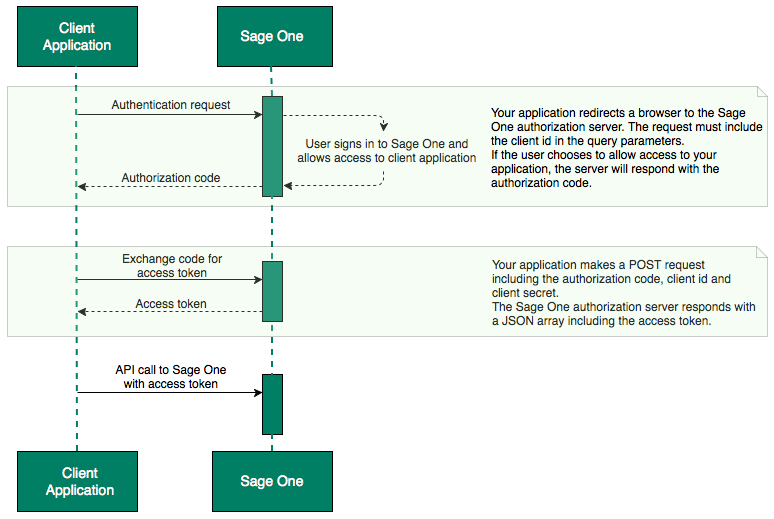 The available statuses in Sage One are unpaid, paid, part paid and void. This resource allows you to look up the invoice payment statuses in Sage One. Responds with all Payment Statuses. Responds with the Payment Status for the ID requested. Products are used when creating sales invoices. They are not available when entering an 'Other Income' transaction. The last cost price, maximum value of 99999999.99. This resource allows you to read, add, update and delete purchase invoices, credits and payments in Sage One. Note: Purchase Invoices, Credits and Payments are visible to Sage One Accounts users only. Sage One Cashbook users will not be able to view transactions you create using this resource. Responds with all Purchase Invoices. Deletes an existing Purchase Invoice. Responds with all Credit Notes associated with the specified Purchase Invoice. Responds with the Credit Note for the ID requested. Creates a Credit Note associated with the specified Purchase Invoice. Deletes an existing Credit Note. This resource allows you to read, add, update and delete sales invoices, credits and payments in Sage One. Note: Invoices, credits and payments are visible to Sage One Accounts users only. Sage One Cashbook users will not be able to view transactions you create using this resource. The amount outstanding for the Sales Invoice. The ID of the tax period for the Sales Invoice. The tax code for the carriage. The ID of the contact to be associated with the purchase invoice. This must be a customer (contact_type 1). Responds with all Sales Invoices. The name of the customer associated with the invoice. This should be the contact[name_and_company_name] from the ID of the specified customer. The main address of the customer. If the line item relates to a product, you should provide the product id here. This does not automatically provide the quantity and unit price. You must provide these as separate parameters. If the line item relates to a service, you should provide the service id here. This does not automatically provide the quantity and unit price. You must provide these as separate parameters. The Product Code of the line item if it relates to a product. The percentage rate of tax for the carriage. The delivery address of the customer. Any terms and conditions for the invoice. The given number for a particular artefact. The maximum value is 99999999 and this must be unique after the addition of the artefact_number_prefix. If this field is present, the artefact_number_prefix must also be present. A prefix to identify the type of artefact. For example, you might use SI- to indicate a sales invoice. The maximum length of the prefix is 6 characters. If this field is present, the artefact_number must also be present. Updates an existing Sales Invoice. The ID if the item line you want to update. If this is not specified a new line item is created. Deletes an existing Sales Invoice. Responds with all Credit Notes associated with the specified Sales Invoice. Creates a Credit Note associated with the specified Sales Invoice. The ID of the contact to be associated with the Credit Note. This must be a customer (contact_type 1). The name of the customer associated with the Credit Note. This should be the contact[name_and_company_name] from the ID of the specified customer. Any terms and conditions for the Credit Note. A prefix to identify the type of artefact. For example, you might use SCN- to indicate a sales credit note. The maximum length of the prefix is 6 characters. If this field is present, the artefact_number must also be present. Responds with all Payments associated with the specified Sales Invoice. Responds with the Sales Invoice Payment for the ID requested. Creates a Payment associated with the specified Sales Invoice. Deletes an existing Sales Invoice Payment. Similar to products, a user can sell services in Sage One. Services are not available when entering an 'Other Income' transaction. The service description, maximum 50 characters. Any extra information about the service, maximum 50 characters. The price charged for the service for the specified period, maximum value of 99999999.99. Set to 1 if the service period_rate_price includes tax. This refers to the different taxrates in Sage One. For example, standard and zero rated. This resource allows you to look up transactions in Sage One.